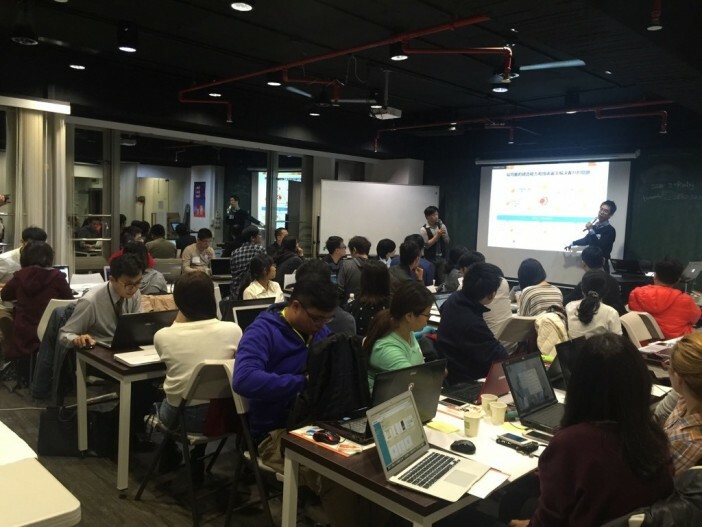 Our wireframe diagrams are some of the most popular diagrams created in Taiwan, so we decided to have a workshop there dedicated to wireframe making. After we announced the news, tickets sold out within 2 hours. We wanted to keep the event small, so each attendee could get the attention they deserved. We apologize to the many users who couldn’t sign up. Luckily, we plan to have more workshops and events in 2016. So please stay tuned by subscribing our newsletter or follow our SNS. 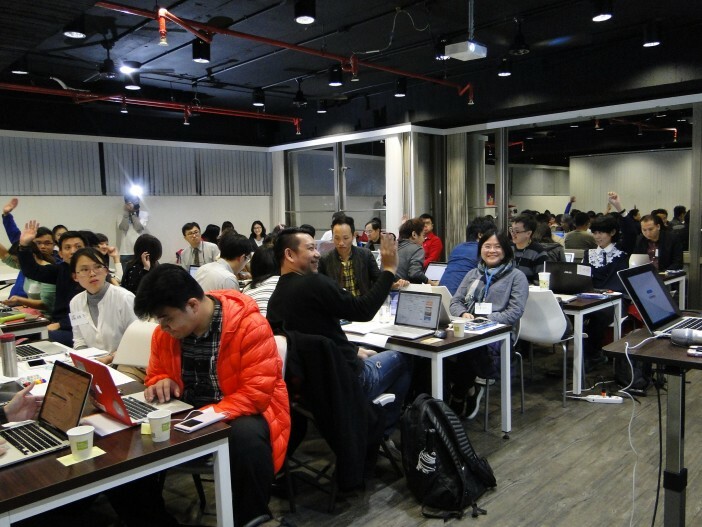 On 12/9 we held our first CacooUp wireframe workshop in Taipei, Taiwan. 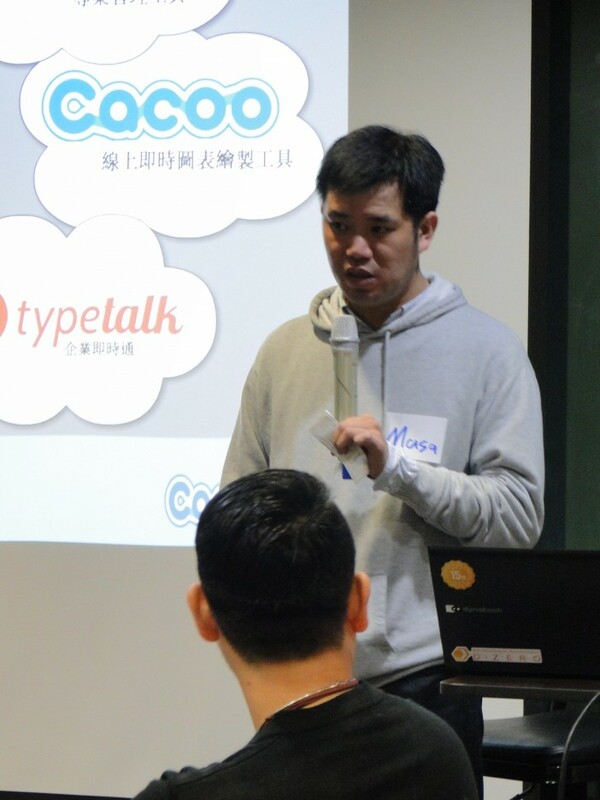 The event kicked off with a speech from Cacoo’s very own CEO Masa. He provided insight into the latest Cacoo updates and upcoming plans. We were honored to have one of the best website design companies in Fukuoka D-Zero join us in this workshop. 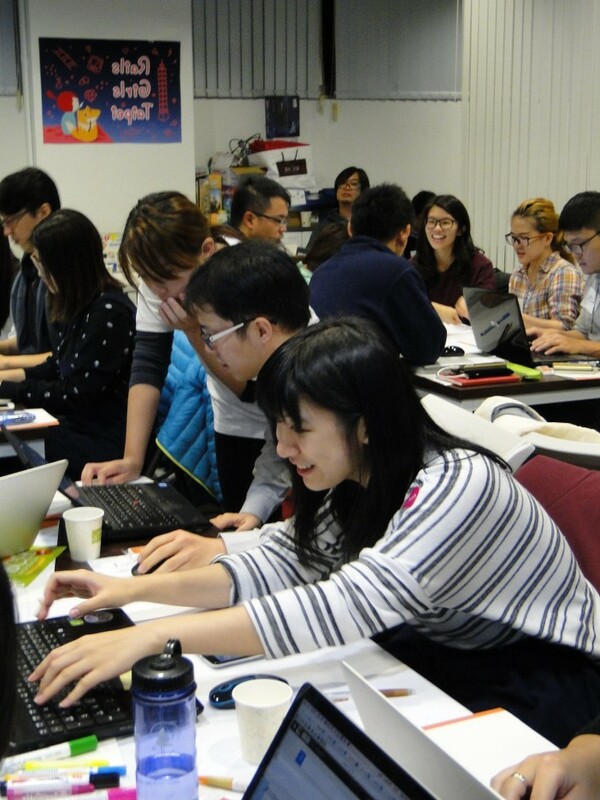 They flew all the way to Taiwan to provide tips on how to create a quality wireframes. D-Zero’s Senior Director Mr. Kuroki shared how they use Cacoo in their workflow and also pointed out the importance of creating wireframes for different roles. He discussed what elements are most important for designers, developers, clients, and oneself. 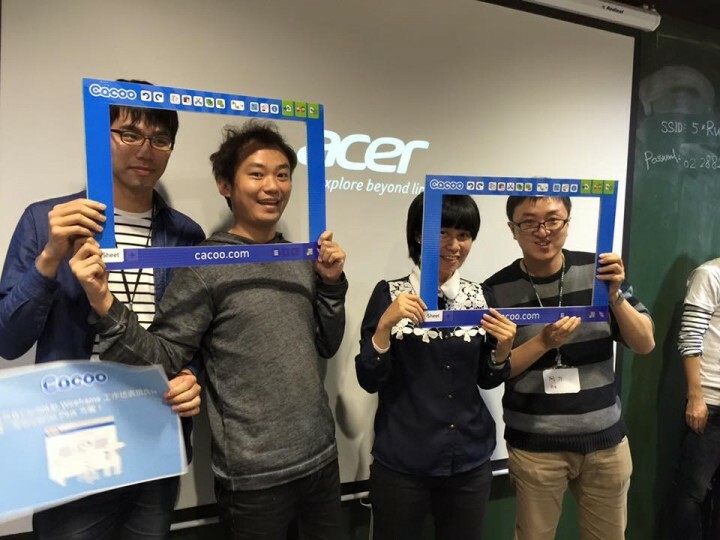 He also highlighted how Cacoo’s collaboration features helped his team to design more than 300 websites last year. Their customers include Nishi-Nippon Railroad, Fukuoka Bank, a world famous tobacco company, and more. Kuroki (right) shares tips on making wireframes. Translator Lee (left) makes sure everyone understands. Next, Team Cacoo shared their own tips for creating wireframes in Cacoo—check out our presentation here in Traditional Chinese—before getting to work on their own designs. 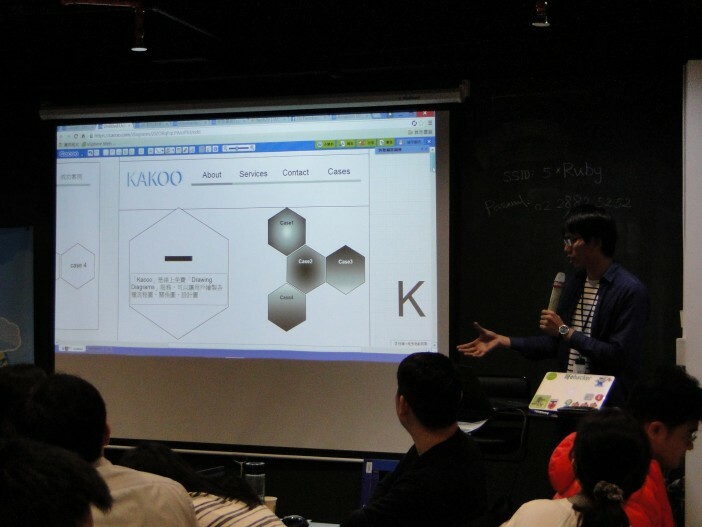 It was time for attendees to apply what they had learned from Mr. Kuroki and Team Cacoo to their own diagrams. We divided 38 attendees into 7 groups. Teams had 1hr 15 mins to make a homepage wireframe based on the fake company we created for them. Then, they were given 2 minutes to present their finished wireframes to D-Zero to judge. Each group had a volunteer to assist them with basic Cacoo inquiries. And we had our Cacoo team on site to support more advanced technical inquiries. Kuroki also visited each group and provided useful feedback as they went. There was laughter in the air, and the atmosphere was uplifting. Attendees collaborated well with each other, even when it was their first time meeting each other. Mr. Kuroki, volunteer Cathy, Cacoo team Mr. Someda giving feedback to an attendee. D-Zero announced Group 1 as the winner. Their wireframe was extremely easy to understand, their concept was clear. The winning group was given a year of Cacoo as a prize, so they could continue to improve their wireframing skills beyond the workshop. Winners of our first wireframe workshop! Congrats! After the event, attendees even requested we create a private community, so they could stay in touch and talk more about wireframes. 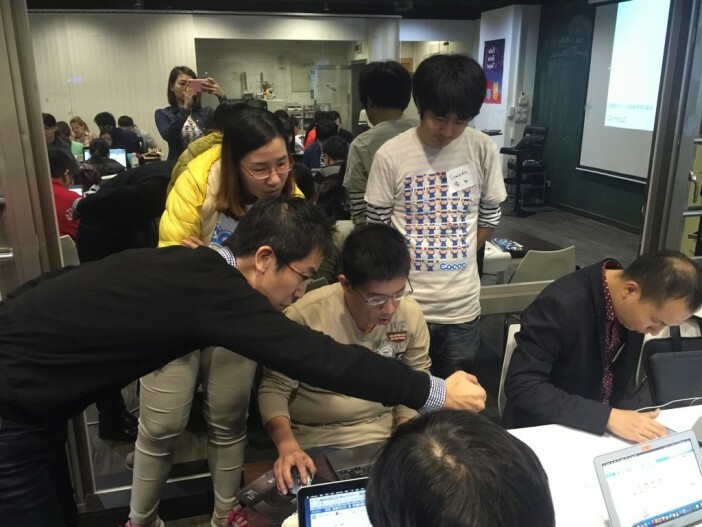 We hope to see more users in different cities in 2016. If you have any inquiries about CacooUp, please feel free to contact us! 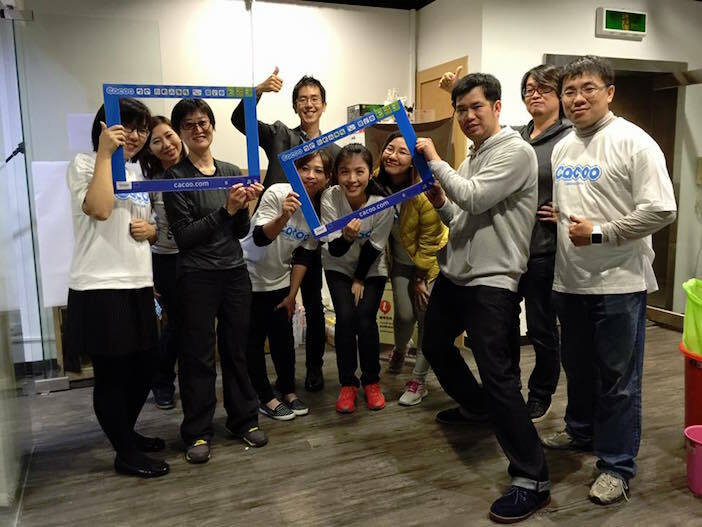 Big thanks to D-Zero’s CEO Mr. Shusaku, Mr. Kuroki, and all our volunteers!